As part of their experiments into crop efficiencies under changing climates, Spanish researchers needed to monitor and control carbon dioxide (CO2) levels. The software they chose to do so was Windmill's Test Sequence. In southern Europe and elsewhere, CO2 and temperature are expected to continue to rise and water to become more scarce. Studies have shown that a combination of heat and drought stresses are very bad for a plant's growth and productivity, more so than either stress alone. Comparing levels of isotopes shows shows responses to stresses like drought. The technique is used to determine crop breeding programs and to assess the effects of changing climatic conditions. To investigate this further the scientists, led by Idoia Ariz, grew alfalfa plants under differing conditions of CO2, water and temperature. The CO2 needed to be monitored continuously to ensure the correct concentration was maintained in two experimental greenhouses, one at a high CO2 concentration and one at a lower concentration. Windmill software regularly took readings from an Edinburgh Instruments' gas monitor via the analogue-to digital converter of a MICROLINK 751 data acquisition and control device. Windmill's Test Sequence tool used PID (proportional integral derivative) control to manage solenoid valves attached to CO2 cylinders. The valves kept the cylinders open or closed. When more CO2 was needed Windmill opened the valve to inject more CO2 into the inlet fans. When CO2 concentration decreased below a fixed level, signalling that one of the cylinder sets was exhausted, the corresponding valve was closed and that of the other set opened. Windmill enabled the researchers to prove that isotope 15N was a sensitive indicator of combined environmental stresses under differing concentrations of carbon dioxide. Ariz I et al. 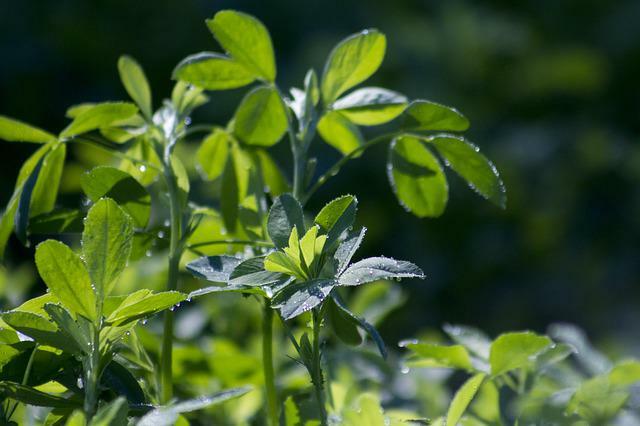 Leaf 15N as a physiological indicator of the responsiveness of N2-fixing alfalfa plants to elevated [CO2], temperature and low water availability. Frontiers in Plant Science. 2015;6:574. doi:10.3389/fpls.2015.00574.